Wow. 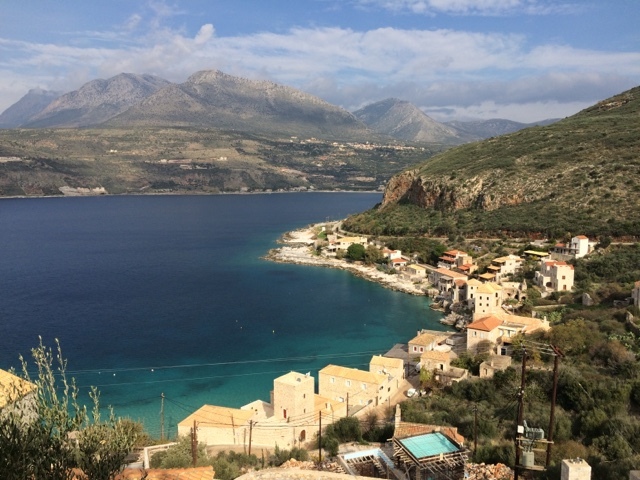 The Mani Peninsula of Greeces Peloponnese is so spectacular that it makes one wish that lifestyle would never NEVER end. And it impresses me that H and I can still be so gobsmacked by the beauty of a place after seeing so much of the world. Yes, the world is a truly marvelous place! Here's photos. What more can I say? The only thing detracting from this view of Limeni is that swimming pool.... the sea looks more inviting anyway! 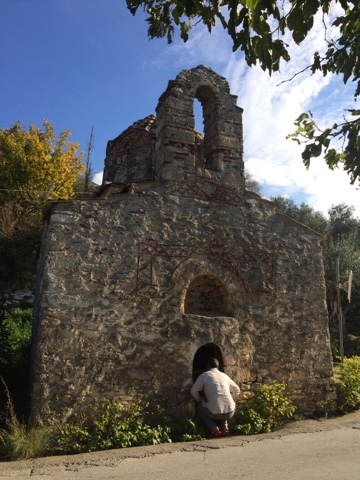 A little church at Nomitsis, that's H at the door! 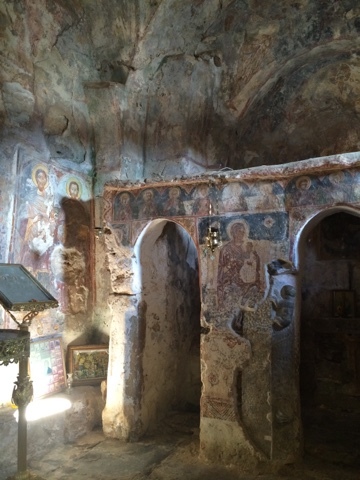 Inside the Nomitsis Church (Greek Orthodox) which is clearly used regularly. H didn't come in. 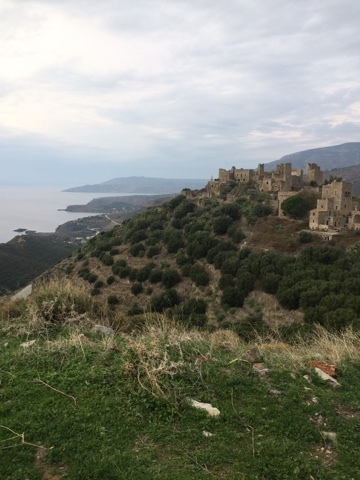 Mani peninsula is known for its old towers, which were formally occupied by feuding clans. This is Vatheia. 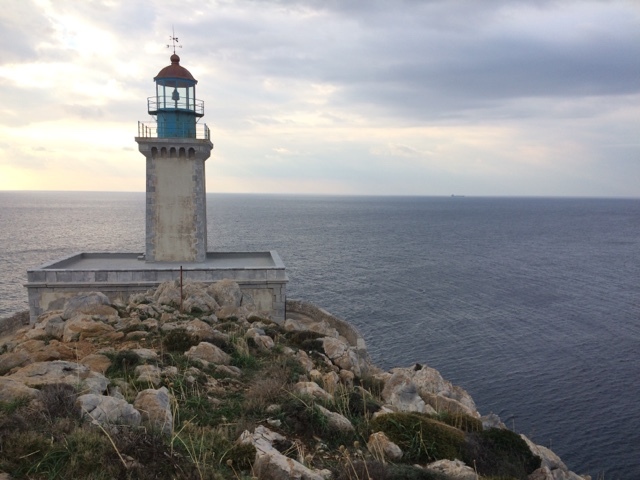 At the end of the peninsula there's a hike to a lighthouse and some say the end here is one of the entrances to Hades (the underworld of Greek mythology). 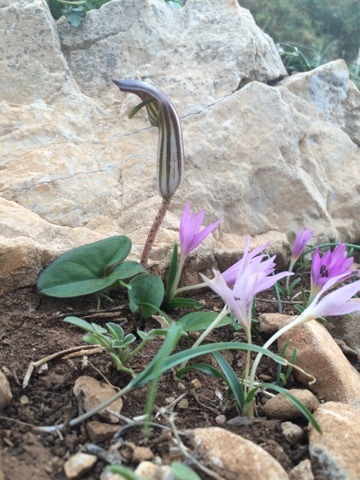 And finally this little plant was frequent on the hike. I guess it's a pitcher plant of sorts, but I like the way it poses like a striking cobra.